Award winning, 4 star approved B&B promises a comfortable relaxing stay in our family home. Wonderful views of Lough Derg from our elevated location. 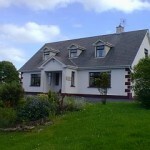 Peaceful rural setting, 2 minutes walk from Mountshannon village, 5 minutes from Harbour. Ideal base for touring. Tastefully decorated en-suite bedrooms, with T.V., complementary toiletries, powered showers, tea/coffee making facilities and free WiFi. Ground-floor bedrooms available. Coeliac and most special diets catered to. GPS: Latitude: 52.9353 Longitude: -8.4293. Experience warm Irish hospitality at Hillview B&B. Set in the heart of East Clare Lakelands, its beautiful view, picturesque valleys surrounded by lakes and rivers. Ideal base for touring Co. Clare. Open all year. We are angler, walker, pet friendly, Eco friendly and farm-stay accommodation with all facilities. Just 25 minutes drive from Shannon Airport. Evening meals and packed lunches available. Glocca Morra B&B is a 4 Star Fáilte Ireland Approved Bed and Breakfast situated in Ogonnelloe, Killaloe, Scarriff, County Clare, Ireland, with breathtaking views of Lough Derg, the Slieve Bernagh Mountains of Clare, and the Arra Mountains of Tipperary. Only 8km outside the Heritage Towns of Killaloe and Ballina, 45 minutes drive to Shannon Airport and 30 minutes to Limerick City. Come and discover the history and majestic land of King Brian Ború, High King of Ireland, and follow his footsteps through Brian Ború Country! Glocca Morra Bed and Breakfast is a superb accommodation for the peace and quiet of the Irish countryside, with over an acre of mature gardens, and an ideal base for guests touring Counties Clare, Limerick, Galway, and Tipperary. Breakfast available for Vegetarians, Vegans and Celiac’s upon prior request. 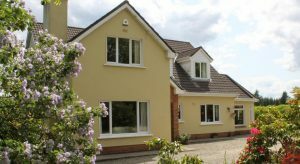 Hawthorn Lodge is a 4* Failté Ireland approved family run B & B 1km from the picturesque village of Mountshannon on Lough Derg – The Pleasure Lake. Our bedrooms are individually designed, spacious, comfortable & well equipped with complimentary toiletries as standard. We provide a generous hearty breakfast menu with home baked breads (recipes available on request). T.V Lounge with open fire (with satellite channels), Wi Fi, Childrens DVD collection freely available, secure Car park, large garden area & children’s play area for your comfort & pleasure. Set in its own grounds in the middle of our own farm, about 1 kilometre from the picturesque village of Feakle , County Clare , Ireland . Laccaroe House is a peaceful country home, with panoramic views of the surrounding countryside . Situated in the beautiful picturesque village of Mountshannon. 5 minutes walk from harbour and sailing club. Luxurious accommodation, five bedrooms en-suite, televisions, tea/coffee facilities. Private car park. Drying sheds for fishermen and walkers. 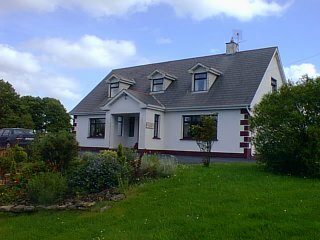 This lovely family run guesthouse is ideally situated overlooking the picturesque Lough Derg, in Ogonnelloe, Co Clare. 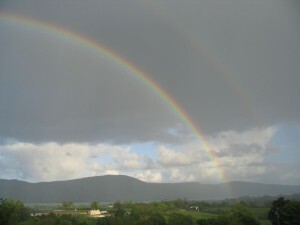 It is less than half an hour’s drive from Limerick, six miles north west of historic Killaloe. The guesthouse is deal for walking, fishing and for visiting Cliffs of Moher, Bunratty Castle and many other historic sites in the area. Lantern House offers a high standard of accommodation which you would expect from this Proprietor run guest house which has been under the same ownership for nearly 20 years.